I'm familiar with two tuberoses in Serge Lutens' line: the nominal Tubéreuse Criminelle, and the possibly misnamed Cèdre. Tubéreuse Criminelle has now come to the States, and thanks to my enabler Steve at Scent Bar, I’ve been hitting my sample pretty hard. When you encounter something beautiful-ugly, the line between jolie and laide typically blurs before your eyes. Beautiful-ugly isn’t conventionally pretty, it’s compelling -- and Tubéreuse Criminelle is a perfect example. There’s warm, salty rubber. There’s a chilly, mothball/medicinal edge. The topnotes amplify these sordid aspects of tuberose. It’s jarring. Huge notes of fleshy rubber and decay, odors that you might detect faintly from an actual tuberose flower (but certainly not at this volume), pull you into what seems like the very center of the flower. Actual tuberose: many readers trapped inside by jtd's description. More news at ten. However, Tubéreuse Criminelle's powerful start leads to a bit of sleight of hand. Come the heartnotes, the tuberose smells like more of an allusion than a flower, idealized or otherwise. 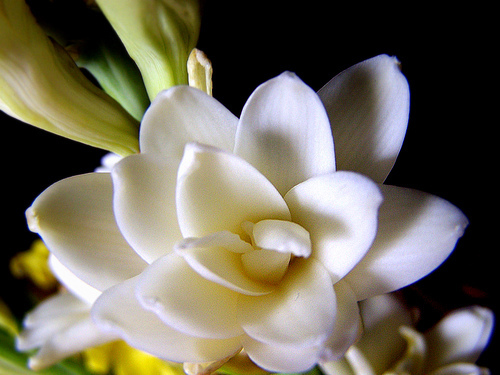 You realize that the tuberose note is composed mostly of the 'non-floral' parts. Camphor, rubber and indoles are what make you think “dirty tuberose”, but once the opening assault fades, the more classically “white” parts of the fragrance sharpen into focus as jasmine and orange blossom. In a soliflore, representation is the key issue. How closely should a soliflore actually smell like the flower itself? 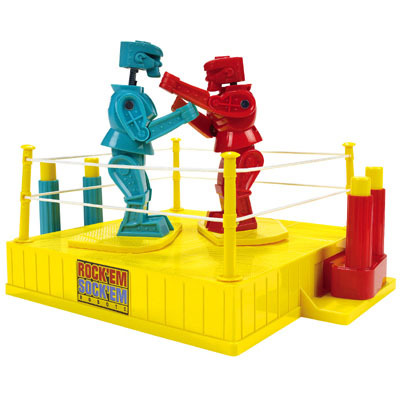 Should imitation be the goal? I tend to fall on the side of hoping not for realism, but for a broader interpretation, with the flower itself as a starting place. Tubéreuse Criminelle takes this tack, and tuberose is just the foot in the door to the rest of the perfume. No strangers to the beautiful-ugly concept, jasmine and orange blossom have their seamy sides, too. 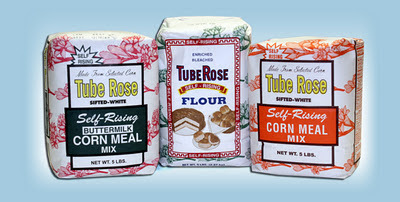 Once the outlaw tuberose note fades, sweaty dough appears front and center. Tubéreuse Criminelle quiets down fairly quickly to a gorgeous half-armpit, half-floral feel. It’s lived-in and comfortable, but not lazy or slack. Depending on whether this close-quarters feel suits you, Tubéreuse Criminelle either pares down to sensual basics or transforms from a fetching floral to a homely one. If you’re looking for Tubéreuse Criminelle to be an orthodox pretty, sing-songy floral perfume, you’ll be disappointed -- or surprised. Either way, I’d recommend trying it if you have the chance. At a minimum, Tubéreuse Criminelle is educational. Tubéreuse Criminelle or Cèdre: which name is more misleading? Some say that Cèdre doesn’t really contain cedar, but I believe it does. It's just not the signature Lutens transparent cedar paired with the plummy crystalline musk of his Bois fragrances (Féminité, Violette, Musc, Fruits). It's the oily, almost tart scent of cedar wood essential oil. Cèdre's oil emulsifies in the sweetness and makes a syrup. Tubéreuse Criminelle is the more misleading name, actually. Camphoric, rubbery topnotes aside, I'd submit "Sweaty Dough" as a more appropriate name. 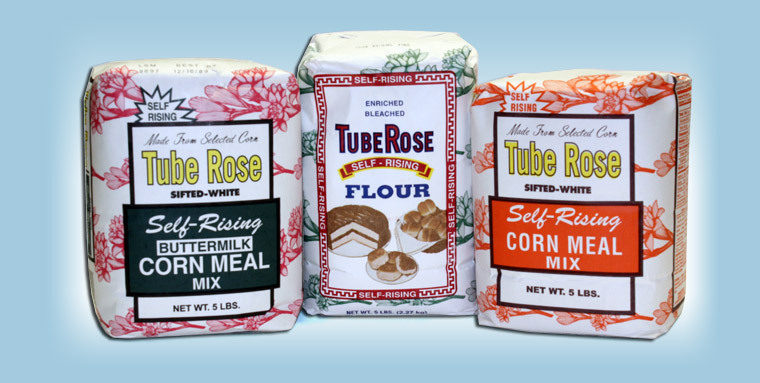 To make Tuberose Sweaty Dough, the proper ingredients are essential. Which is more misunderstood? Since people seem drawn to Tubéreuse Criminelle while Cèdre gets either the tentative 'meh' or outright disapproval from most fumeheads, I'd have to say Cèdre. It is undeniably sweet, but the sweetness is embedded in the syrup in such a way that the floral note itself doesn't actually smell sweet. Cèdre is a bit heavy and thick at the outset, but the basenotes smooth it down to a balanced woody floral with a resinous quality. And even if Tubéreuse Criminelle plays dirty, it is a definitive floral when set against Cèdre's floriental. Serge Lutens is noted for having reinvented the oriental genre with Féminité du Bois. Cèdre seems to be his attempt to reinvent the floral oriental, in this case with syrupy cedar in lieu of balsamic amber. Although I'm focusing on the tuberose connection between the two perfumes, each has secret siblings in the Lutens line. À la Nuit, seemingly a jasmine soliflore, provides the same doughy vibe as Tubéreuse Criminelle. Cèdre and Arabie both inhabit a syrupy sweetness that unfolds from top to base at a leisurely pace. The two sets of siblings each share a sensibility, one pair's being close-quarters sweaty floral, the other’s woody treacle. Now, which one of you is Arabie again? In this framing, the tuberose connection between Tubéreuse Criminelle and Cèdre becomes more conceptual than actual. Tubéreuse Criminelle and Cèdre are ostensibly both tuberoses, yet each is distinct from the other. No repetition, no overlap. Beautiful side by side. Uncles Serge loves playing games with names, no one should take them at face value. But he has this unique way of breaking key notes down to their different facets and creating compositions that have the structure of a crown: the head that wears the crown is the centre but the little thorny tops of the crown stand higher. Hi Katie, do you smell any of the Armani Privé by giorieo armani. I love the Oud Royal it is wonderful. memoryofscent - love that image! Anna - I've tried all the new Privés - they're big and bold - kind of reminded me of the Bond No. 9 approach. I don't get so many things out of Tubereuse Criminelle, unfortunately. It's mostly camphor and fleshy rubber florals to me. And the occasional stinging insect when I wear it outdoors. Ack! That's where you pay the price for realism in a perfume. I guess I will have to skip both... I am officially convinced that Tuberoses hate me! To be completely honest, I dared to re-sample Carnal Flower this weekend, loved it but I made me queasy (as all the tuberoses I ever tried did, but I disliked them). But at least I'm happy that now I like leathers (leathers in perfume used to be my other deal-breaker). Katie, what a year (perfume-wise)! I guess I am finally growing up! I mean, when compared to the beginning of the year, when all I wanted was violets and skin scents. I still love my violets, but I rediscovered my love for incenses, non-gourmand vanillas, some patches, found out that some leathers may work for me (and despite what LT and TS say, PdE Cuir Ottoman is my favorite, just ordered a bottle), got more iris scents than would be reasonable, and finally sniffed all the Chanel Exclusifs. Funny thing is, even though I thought Coromandel and Cuir de Russie would be my thing (due to my recent "love" for patch and leather), I ended up with 31 Rue Cambon and Beige. OMG, I am writing too much!!!! But the year is ending (and this will probably be my last post before Xmas). So I will use this post to wish you a wonderful and good smelling Christmas!!! 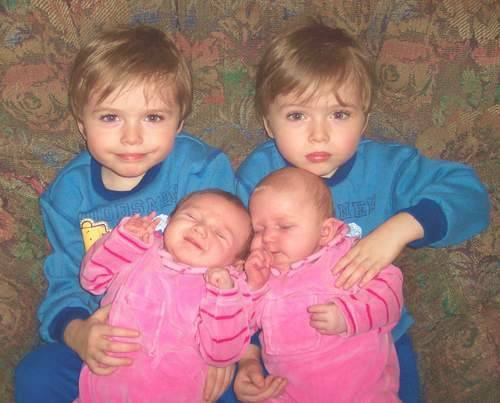 Perfume aside, I like how the smiling boy is holding the smiling baby girl, and the boy with the deer-in-the-headlights look is holding the zonked out kid. Sabrina, I had the opposite year to you: I went from big patch/rose/incense-orama to exploring iris and skin scents. Mon Numero 8 is my big love this year, but big nights out always call for Portrait of a Lady, and I can't see that changing anytime soon. Heh - hadn't noticed that the twins were paired up with their "mood twin." I didn't hear you mention the smokiness just before the heart. Is this perhaps the salty rubber or mothball note you identified? Flaconneur, I wonder if there is a synergy of notes that reads as smokiness. Even though it's the opening of Tubereuse Criminelle that lunges at you with its scent-cacophony, the heart really has a lot going on. The almost medicinal feel of the topnotes overlaps with the bodily feel as TC enters the heart. Rubber notes have a smoky aspect. Maybe rubber-meets-body is the smoke. I think you hit the nail on the head, jtd. I find Tubereuse Criminelle irresistible, but then again, I am cuckoo for Serge Lutens. Intriguing parallel. I had not thought about the relation, but I can see your point. I wonder how you'd judge JAR Eclair then, which I smelled recently. The opening is a tubereuse criminelle on steroids, plus the sweet fruity part, which is bright and non-cloying though. The whole thing is true to its name (lightning). And it remains on track for a longer time (perhaps with the sweet part surviving the most). Unfortunately, TC on steroids also for the price. Cacio, TC on steroids has all my attention. I'll have to seek out Eclair. Your description of a bright fruit sounds interesting. Brightness is something intrinsic to a good fruit taste, but usually gets lost in the translation to scent, at the same time that the other attributes (sweetness, bubble-gum) get magnified. I just found an old post of Katie on Eclair (a l'anglais, Bolt of lightning). Let's say she did not share my enthusiasm. Re: the exclusive Lutens, they don't cost $300, but "only" eur 120 (It is JAR that cost between EUR 300 and 600). I own the ones in your list except El Attarine. I had tried last year, loved it, but somehow, when I was in the store again a couple of weeks ago, it disappeared on skin, don't know if the nose was knocked out by ISM or if it's a reformulation. So I went for boxeuses. Gotta try again in the next trip. thanks for giving some love to the much maligned cedre. Cacio, thanks for steering me to Katie's review of Eclair. I've just read it and am still smiling. $800 for not only divisive, but apparently unpleasant? Yikes, I'd rather have $800 of your Lutens collection. Stellagio, Yeah, I think convincing others of Cedre's charms might be something of a losing battle. But finding that there are others out there who dig it makes me smile, my Cedre-soul-sibling.